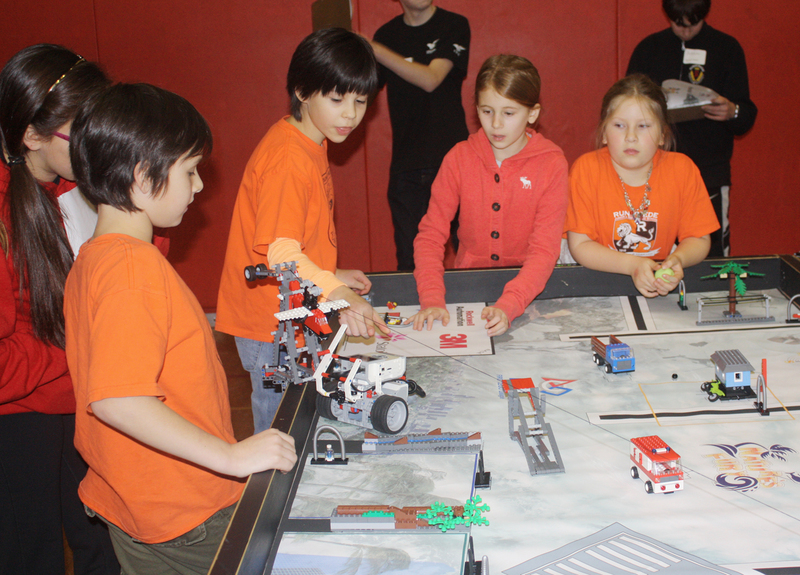 1) Robot Missions – The Lions finished 6th (214 points) and the Hurricanes 10th (151 points) out of 25 teams. 2) Callbacks – Runnymede teams performed so well that they were called back to perform in front of a second set of judges. The Lions were called back for “Robot Design” and the Hurricanes for “Core Values” (demonstrating “Gracious Professionalism”). 3) Awards – There are a few awards that are given to teams apart from their final scores. 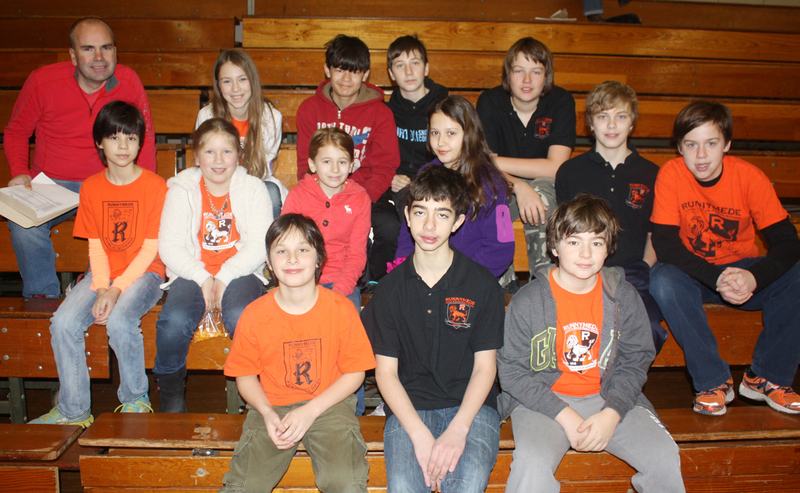 The Hurricanes were awarded the “Inspiration” award given to a team that inspires Core Values, FLL’s most important code. All of the team members were participating in their first tournament which makes receiving this award in their first year simply amazing. 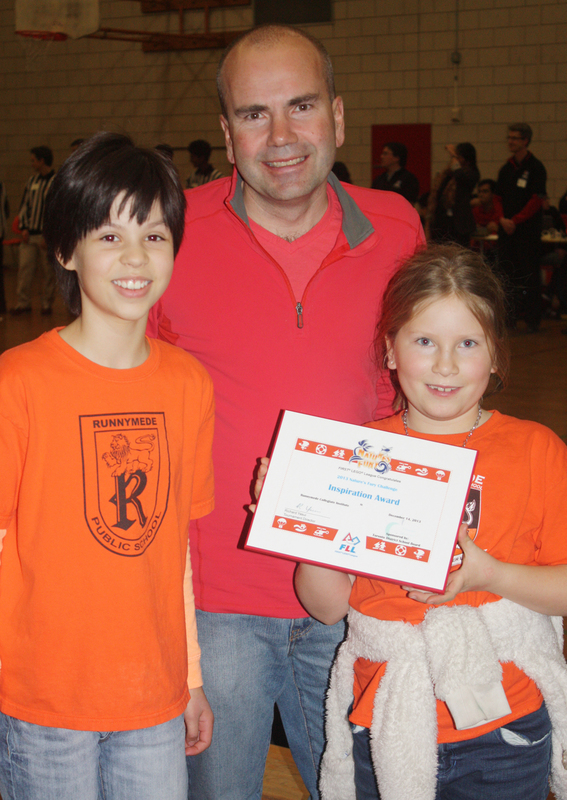 Jerry Tiessen, the parent coach of our FLL Robotics Teams, was voted by team members and judges as the “Coach of the Year”. 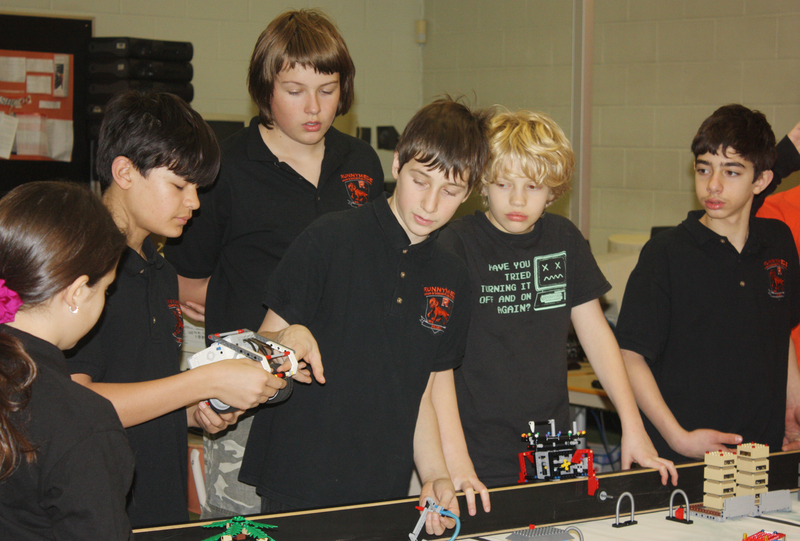 The STEM committee would like to thank the students of Runnymede Collegiate Institute and Western Tech for their help with the FLL program. We would also like to thank the teachers Kathryn Daye, Shannon Nyers, Jon Johrendt, and Stan Hallman-Chong and vice-principal Sean Hume for their contributions. Their time was essential to the success of these teams.